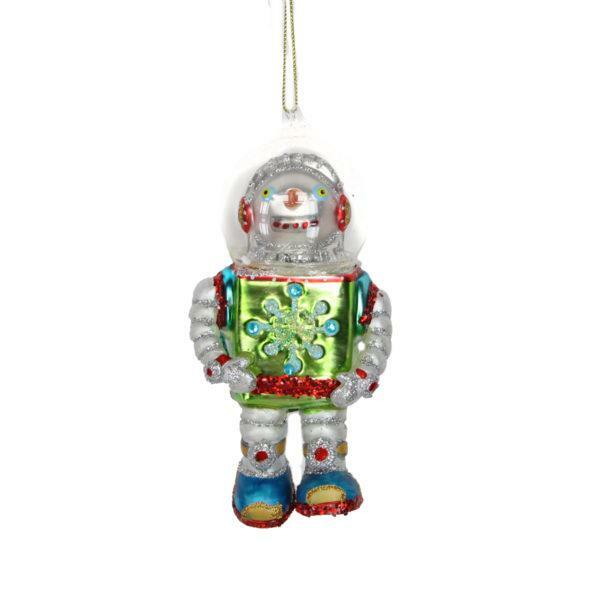 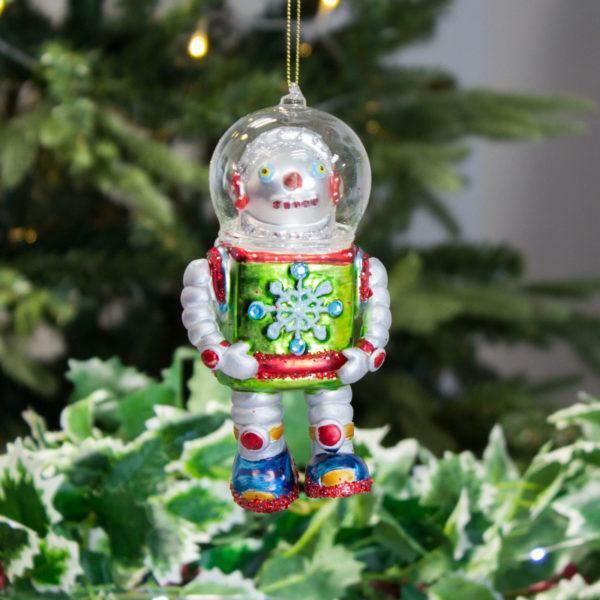 A fun novelty Glass Robot Snowman decoration. 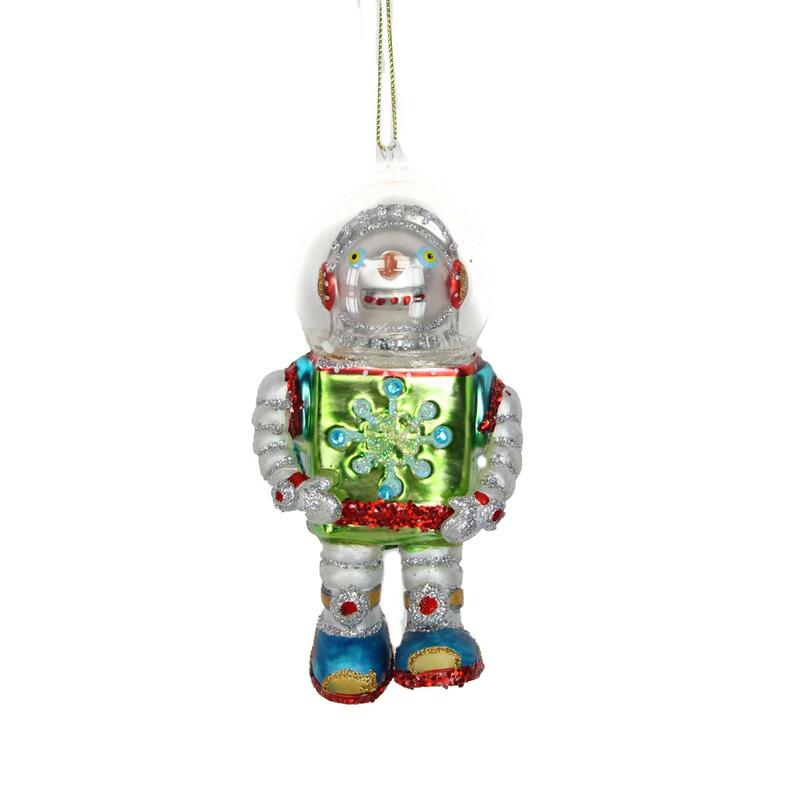 A novel Glass Robot Snowman Decoration. Add a touch of fun to your Christmas tree with this novel painted glass decoration.